Best of Season #1: To Reopen The Sacred Fountains of Inspiration: An Interview With Dr. Jarod Goff, Adjunct Professor at Mt. Angel Seminary, On St. Francis And His Life. To Reopen The Sacred Fountains of Inspiration: An Interview With Dr. Jarod Goff, Adjunct Professor at Mt. Angel Seminary, On St. Francis And His Life. 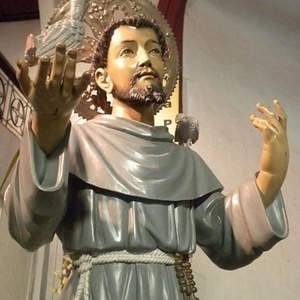 We often pigeonhole St. Francis in an individualistic manner, either as a Superstar Saint none of us can be like, or Medieval hippie. Dr. Goff disabuses us of this notion of St. Francis, and points out how the reform of St. Francis is Pauline, Marian, and before anything else, after the Heart of Jesus Christ. We also reprise an oldie-but-goodie Great Moments in Church History in honor of St. Francis!